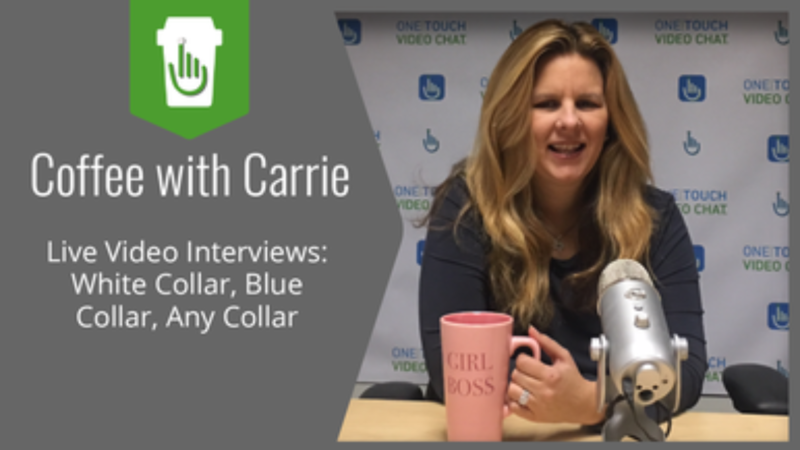 On this week’s Coffee with Carrie, Live Video Interviews: White Collar, Blue Collar, Any Collar, we assert that our innovative video recruiting technology can meet the hiring demands of both blue-collar hiring and white-collar recruiting. 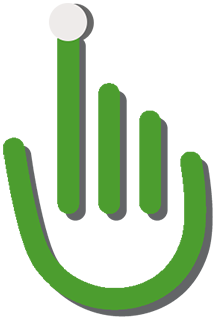 Our video recruiting technology provides remote, real-time video chats for hiring professionals. As leaders in video interview technology, our clients come to us to narrow their hiring funnel and reduce costs. Recently, many of our clients have asked us if live video interviews are better for white-collar recruiting or blue-collar hiring? We know that regardless of the industry, hiring new employees is time-consuming and expensive. The average time to fill a position is approximately 40 days and an average cost of over $4,000. But to adequately answer that question, we must first look at your company’s hiring process. If you’re looking to hire fast and reduce your fill rate, live video interviews are great from that perspective. Let’s say you’re opening a new branch location in Midland, Texas. And you need to quickly fill multiple positions. But you only have one or two regional recruiters. Unfortunately, your limited number of recruiters can only interview a limited number of candidates each day and time is running out. Instead of spending extra money on flying in additional recruiters, your hiring team can coordinate using live video interviews. It doesn’t matter if you have other recruiters are in Chicago or Seattle, they can all pitch in by just using their laptops. Thus, incurring a cost savings of a little over $1,000 per hire and reducing the fill rate to about 14 days. The competitive advantage of live video interviews is that you can hire more candidates, faster. In fact, live video interviews are 6x faster than phone screens. When it comes to blue-collar hiring, our video recruiting technology appeals to candidates because it can coordinate tighter with their schedule. We have clients in competitive sectors like manufacturing, logistics, and warehouses who use live video interviews to measure a candidate’s cultural fit and judgment. However, no-show interviews are common in blue-collar hiring. As we all know, many candidates in these fields are living paycheck-to-paycheck. If you’re not able to hire them quickly, blue-collar candidates may accept an offer from one of your competitors. We’ve had clients come to us with over 80% no-show rate for these types of positions. And why are these numbers so high? The reason is quite sensible, really. Blue-collar hiring must be a rapid process because these cash-striped candidates needed a job yesterday. If you schedule an interview for next week, but someone else makes them an offer this week, they’re not showing up for your interview – cut and dry. When it comes to white-collar recruiting there are different levels and titles (depending on the industry) to choose from. Though it may be different in your hiring funnel, live video interviews are perfect for each position. One benefit worth noting is reduced travel costs. We talk to many clients who are hiring executives or doctors. A problem our clients frequently encounter is that they can’t afford to fly in more than a few candidates at a time. This means they are stuck with several rounds of interviews and a lengthy hiring process. Sometimes they shell out money on a plane ticket only to find out that the candidate is not right for the position — money wasted! But our video recruiting technology can help narrow that part of the hiring funnel down and reduce travel costs. Instead of flying a candidate in, do a video interview first. This way you can determine with more certainty if they are a proper fit. Check out our in-depth Narrow the Hiring Funnel Infographic to see where video interviews fit into your hiring process. After that, we have a great ROI calculator that will you show your cost savings. Whether you’re doing blue-collar hiring or white-collar recruiting, live video interviews allow you to hire faster (7-14 days), reduce costs (56%) while gaining the competitive advantage.